TE Connectivity‘s new SOLARLOK PV Edge decentralized junction box that can be attached to glass-to-glass photovoltaic panels without drilling holes. The new junction box aims to reduce installation costs, raise energy outputs from the panels and improve reliability. Glass-to-glass photovoltaic cells continue to increase in efficiency, fall in price, and grow in popularity. TE’s new PV Edge junction box is aligned to these market and customer needs, providing easy installation, lower pricing and simple design. 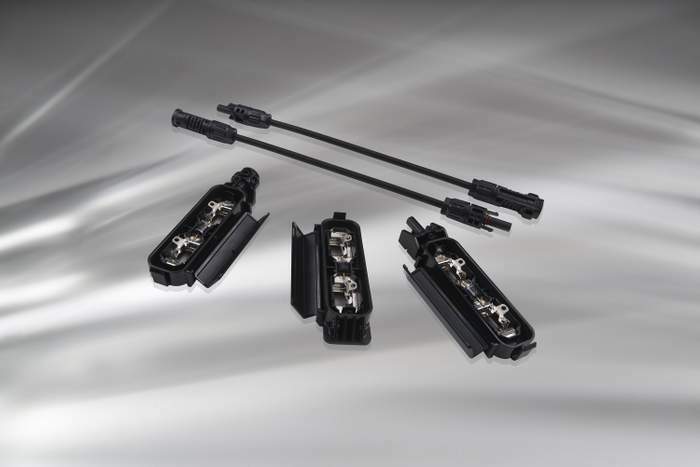 “This small junction box can be positioned right on the edge of the glass to prevent shade falling on the cells on the rear side of the panel,” says Frank Rosenkranz, product manager at TE’s Industrial business unit.